They finally did it, they made a film about Aquaman and well, it’s actually pretty good. I was excited, but also skeptical before going into this film, not just because it’s an Aquaman film, but because of DC and I found myself really entertained by this film and having alot of fun while watching it. I thought the cast did well, Jason Momoa of course steals the show, you can just tell that this guy loves being this character and had great time while making this film. Amber Heard did good as Mera, I really enjoyed Patrick Wilson in this film and most of the time I don’t care for him in the films he is in, Nicole Kidman was good as she usually is, I liked Willem Dafoe in here, and even though he is not in the film as much as I wanted him to be, I loved Yahya Abdul-Mateen II as Black Manta. The visuals in this film are great. This film is very colorful, very bright and I thought it was very beautiful to look at, especially while you are in the city of Atlantis. I thought James Wan’s direction for the film was nice and you could definitely see his style in this film, especially when you see one of my favorite things in film ever, the long take. A long take is where a scene is getting shot, but will only be one take with no cuts and there is about 3 or 4 maybe in this film and each time it happened, I just got so excited. I really enjoyed the film’s score as well, it is done here by Rupert Gregson-Williams who also did the great score for “Wonder Woman”. My problems with the film are that it is a little slow at some points and you do kind of start to feel the runtime, the dialogue is not great and is a bit awkward at times too, and the story is nothing really that special or different from what we’ve seen before, for a superhero film. 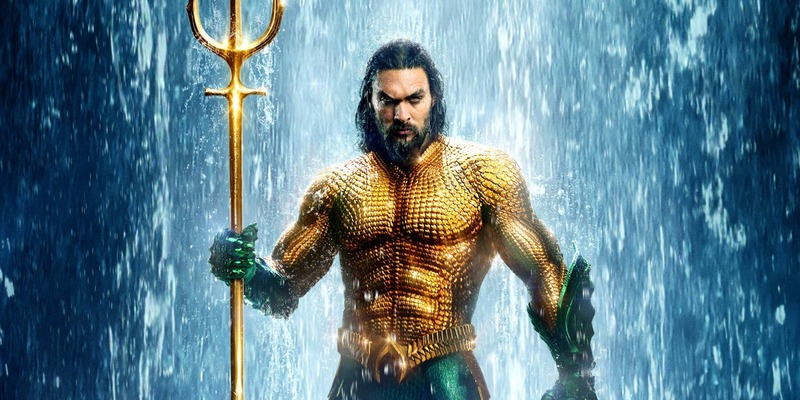 Overall, I really did have a great time watching “Aquaman” and definitely do want to see it again, if you are a fan of superhero films, definitley seek this one out, and I would say this is probably my new favorite film from this DC cinematic universe and the one that they have put out that has truly felt the most like a comic book has come to life.